Build your models graphically, insert sophisticated calculations, and analyze what matters and why. Build models with drag and drop, use simple functions for multidimensional calculations, and analyze risk with Monte Carlo simulation. Because financial modeling is more than number crunching. Of course there is a logic in an Excel model, but you can’t see it. What you see is the numbers. Of course you can handle multiple dimensions in Excel—as long as it’s not more than two ore three. Otherwise things soon get complicated. And changing the model should better be avoided. And of course you can do sensitivity and risk analyses... if you’re an Excel hero. But not without add-ons like @RISK or CrystalBall. So, how would you design a modeling software if you could do it from scratch? Analytica was designed from the start to provide the three key features you need for effective financial modeling. Intuitive influence diagrams let you create a model the way you think, and communicate clearly with colleagues and clients. An Analytica model is organized as a hierarchy of influence diagrams. They show you the big picture and let you build and navigate your model visually. Think of this as an interactive whiteboard—but with all the details, calculations, and numbers underneath. Intelligent Arrays™ let you create and manage tables with many dimensions with an ease and reliability not possible in Excel. Although the influence diagram appears as simple, it scales up to handle complex, multidimensional problems—effortlessly. Don’t worry about the rows-and-columns layout of your model. You create, change, or extent dimension, and Analytica cares about the rest. You can easily replace any variable in your model by a probability distribution. Analytica generates sample values based on this and let you see and analyze the effects on every “downstream” variable in the model. With no special statistical expertise required. Not sure if Analytica is right for you? Of course it’s not necessary to use a sledgehammer to crack a nut. If you’ve never felt any obstacles and constraints when building your financial models in Excel—maybe you don’t need to consider Analytica. And it doesn’t pay off learning something new for you. So it’s okay when you leave right now. How does Analytica compare to other modeling tools? No other software package on the market provides the full range of features that Analytica does. 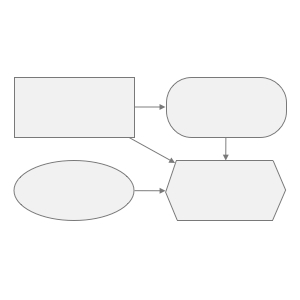 Influence Diagrams for visual modeling to make models transparent. Intelligent Arrays™ to handle multiple dimensions and scale up model flexibly. And fast Monte Carlo Simulation to probabilistically analyze risk and uncertainty. Analytica makes modeling so much easier than Excel. Drill down, up or sideways. 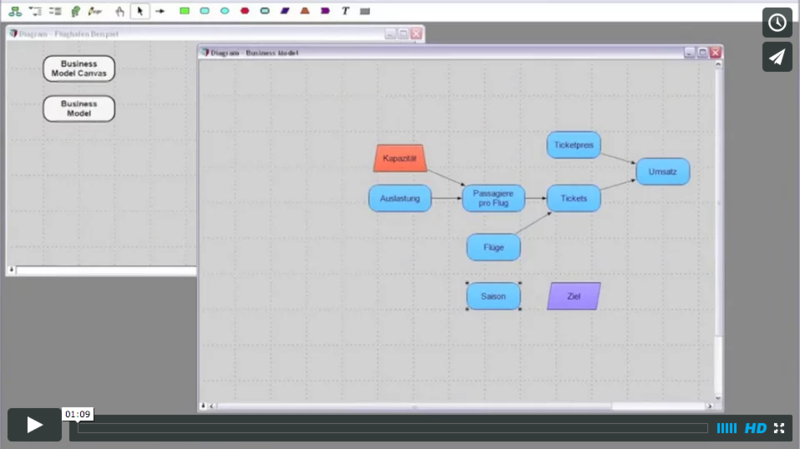 Analytica’s influence diagrams are your model’s visual roadmap. With a hierarchy of nested modules, you always know where you are and can quickly move to any desired level or module. Build, navigate, present and explain your model’s structure with speed and confidence. Never again hunt down and decipher arcane row-and-column coordinates or formulas. Dispense with building separate summary models and reports in order to present and support your results. 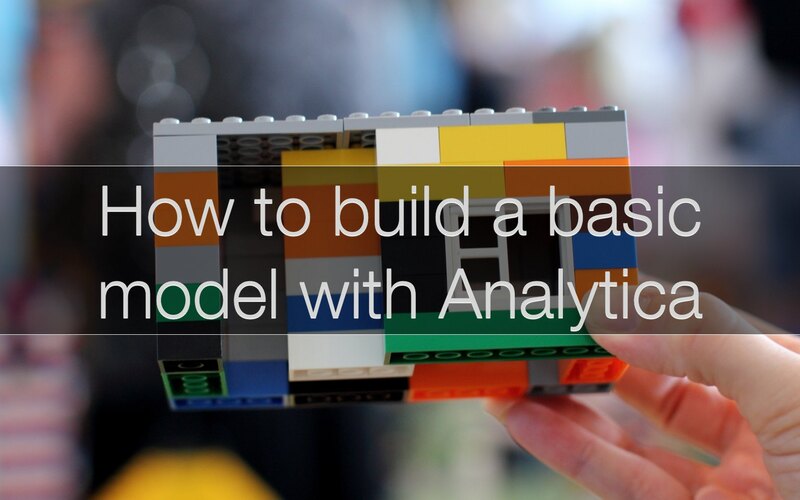 Your Analytica model is all you need. Forget about the rows-and-column restriction of Excel. Analytica’s proprietary Intelligent Arrays™ provide the power to scale up your models to handle multidimensional problems with ease—for instance, sales over many time periods, products, and regions, as a function of alternative prices and marketing budgets. Each dimension becomes a simple index. Write and store each formula only once, not one for each cell in a table. Choose the most meaningful views in tables and graphs by interchanging rows, columns, and higher dimensions. Extend existing dimensions or add new ones—the model expands automatically without the manual work required with Excel. Reduce the time and effort to build, verify, and audit large models at an order of magnitude. 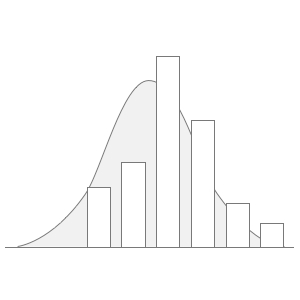 Express uncertainty by selecting the appropriate probability distribution in Analytica’s graphical browser. 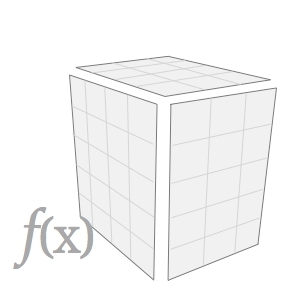 Propagate uncertainties throughout your model—with ease and efficiency—using Latin Hypercube or Monte Carlo sampling. Display uncertain results in any form: as probability bands around the median, probability density functions, cumulative probability functions, or standard statistics. Build models in 3 easy steps. Analytica’s visual modeling interface might feel somewhat strange to a seasoned Excel user like you—but with just a little practice it is actually very easy to build financial models. From the simplest to the complex. It’s almost as simple as 1, 2, 3. Drag-and-drop individual nodes into the diagram window. These nodes are the building blocks of your model. Identify and track them by applying your choice of shapes, colors and titles. Connect nodes with arrows to define the influences of one variable on another. The resulting influence diagram is visually logical, easy to understand, and simple to change. Drag-and-drop nodes into the diagram window. These nodes are the building blocks of your model. Identify and track them by applying your choice of shapes, colors and titles. Build formulas from a list of inputs in a drop- down menu. They are readily available, along with a rich set of functions, to paste into the formula for each variable. No more needle-in-a-haystack searches for spreadsheet cells. Document assumptions, data sources and notes of explanation in your own words. Many users try Analytica because they hear the enthusiasm of others. Here is what users say about Analytica, how it compares to Excel, how easy it is to learn and use, and how powerful it is once you get its underlying principles. —Brian Thomas, SENES Oak Ridge, Inc.
—Robert Brown, Partner, Decision Strategies, Inc.
And that’s why Analytica is a real revolution in financial modeling. Awesome, I Want to get started right away!